I challenge you to watch the above YouTube clip from Halloween III and NOT get that tune stuck in your head the rest of the day. You’re welcome. So, I know you are all waiting with baited breath. What did I dress up as for Halloween this year? 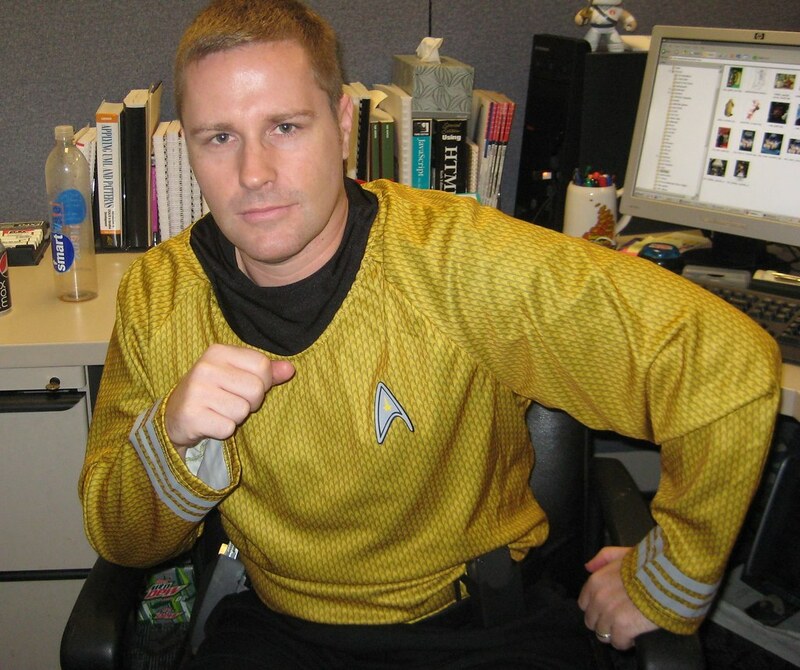 Glad you asked, I was Capt Kirk from the new JJ Abrams Star Trek movie. And here’s an action shot. Pretty awesome, I know. Thanks to Debi for taking the pics of me. 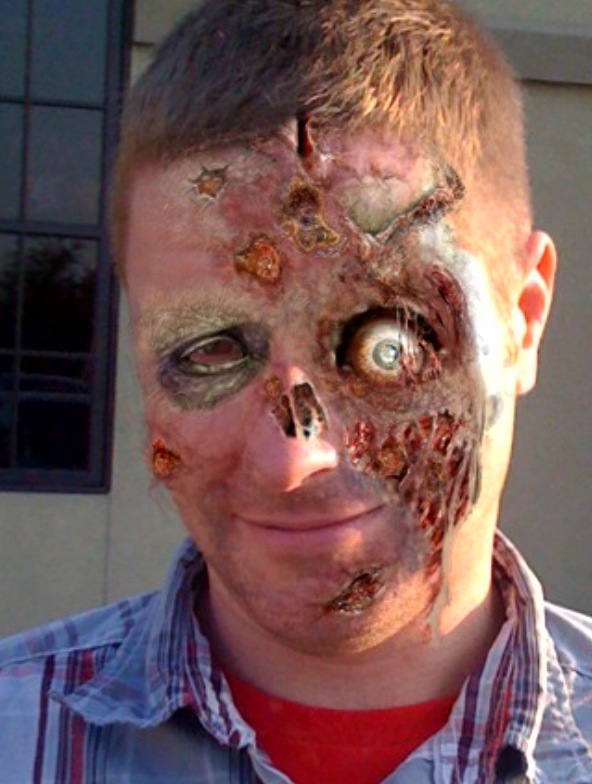 It’s a zombie pic of me I created using the iPhone app iMut8r. 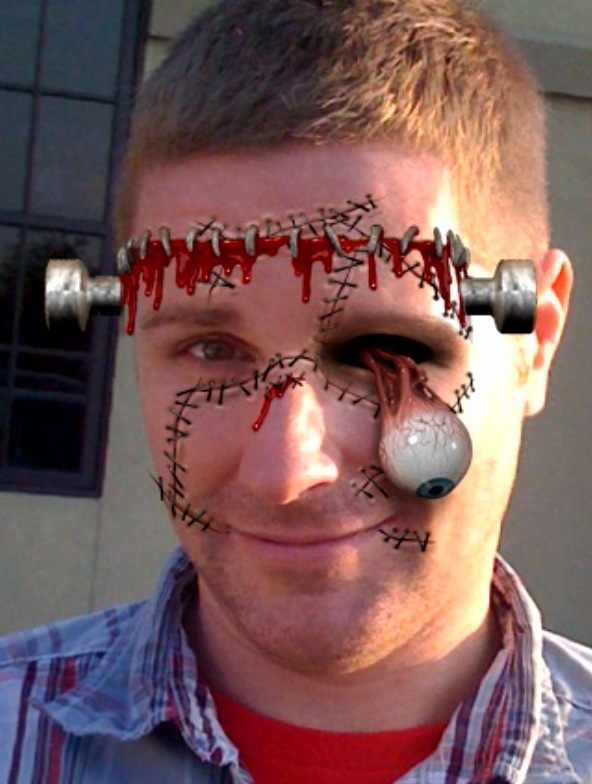 You can take any pic of yourself (or someone else) and change it into a zombie, witch, vampire, werewolf or Frankenstein monster. Frankenstein monster or zombie seems to work the best with the images I’ve used. I swear, I’m totally obsessed with it. The other day, Steph was sending me photos of people she works with and I was transforming them into zombies and sending the picture back. It’s addicting. Here’s me as the Frankenstein Monster. If you have an iPhone, I suggest you grab this app. iMut8r. It’s so damn fun. However, the novelty may wear off now that Halloween is over, but it was definitely fun while it lasted. And there’s always next year! Anyway, this crazy roller coaster we call Halloween is finally here. Steph and I will be hanging out with our friends the Lehmans (hello, Dr Mike) on Saturday. Hope everyone gets nothing but Tootsie Pops and Peanut Butter Cups in their bags. See you guys next week. 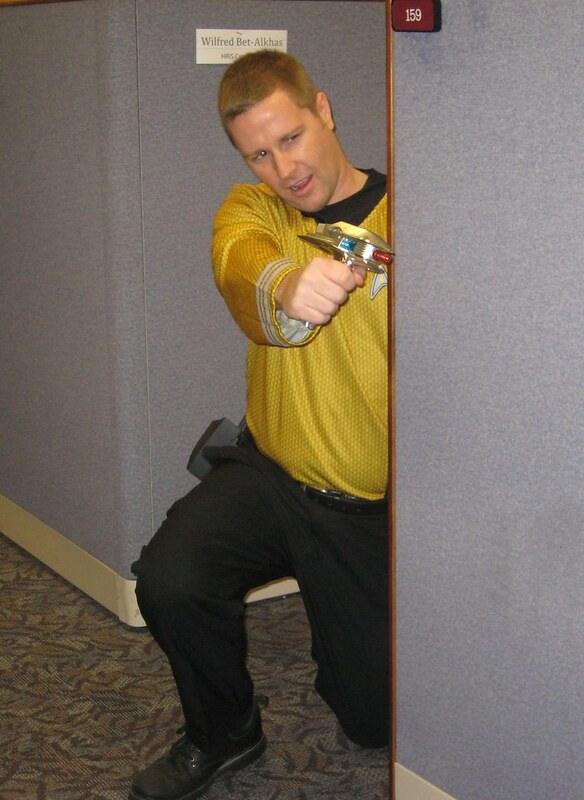 Happy Halloween from the Cavalcade of Awesome. This entry was posted on October 31, 2009 at 8:00 am and is filed under Halloween, holiday, movies with tags AWESOME-tober-fest, AWESOME-tober-fest 2009, Halloween, holiday, movies. You can follow any responses to this entry through the RSS 2.0 feed. You can skip to the end and leave a response. Pinging is currently not allowed. Submit your Mut8shuns to us and we’ll pick our 3 favorites to win a prize and be featured on our upcoming Gallery page. Become a fan of iMut8r on facebook!